Our early evening Jam Session takes place in the main auditorium 5:30pm and 6:30pm. It is hosted by the highly talented Harry Hornsey on guitar. Everyone is welcome either to take part, or just relax, listen and enjoy! To take part, please add your name, song and song key to our Jam Roster during the day. Depending on numbers, Adrian will invite entrants to play on a first come, first served basis. If you don’t have a particular song, there will be time for a few rounds of 12 bars, so don’t be shy! It’s a great way to see what others get up to and no previous experience is necessary. 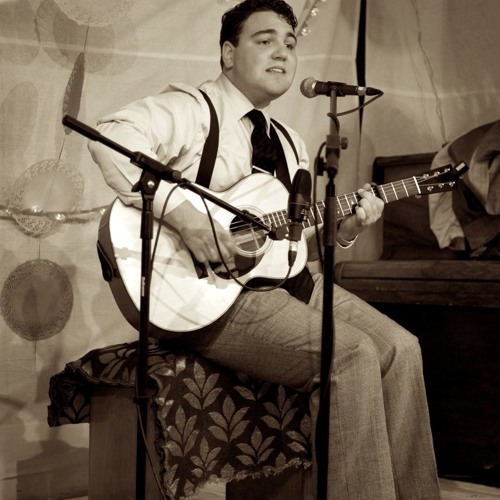 Harry is an acclaimed performer on Brighton & Hove’s live music Scene. He runs a monthly blues jam session and also manages his own guitar shop in the North Laine area of Brighton. 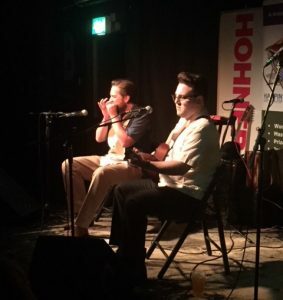 Harry often teams up with Alfie Bernardi on the harmonica, an excellent semi-acoustic blues duo. Together, Harry and Alfie have graced a long list of blues venues including London’s Ain’t Nothin’ But and 100 Club.